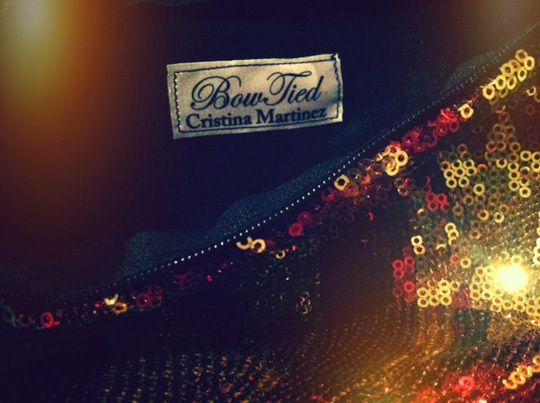 Earlier this year we got the chance to interview up-and-coming designer Cristina Martinez of Bow Tied Online. Many readers were impressed by her designs and her drive to get to the point she is at now. 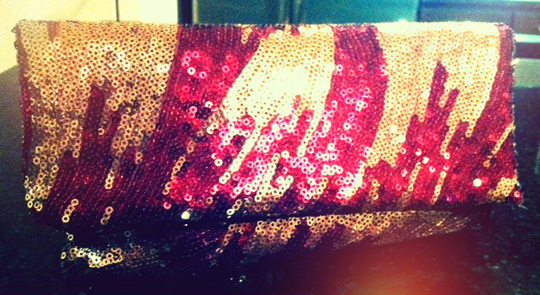 Cristina was generous enough to create an exclusive "Elle" Holiday Edition Clutch for one of our readers. This super cute sparkly clutch is lined with black and closes with a black zipper. 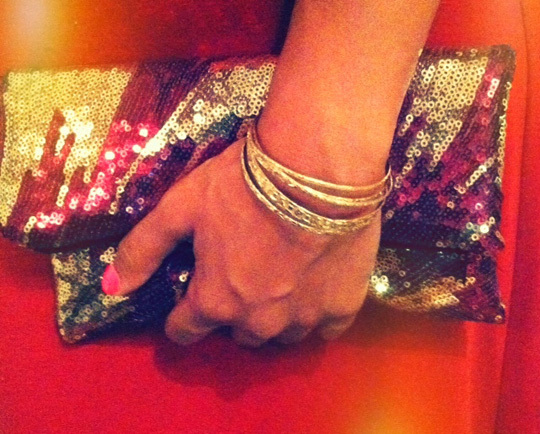 It would be the perfect accessory for a holiday party or a night out. 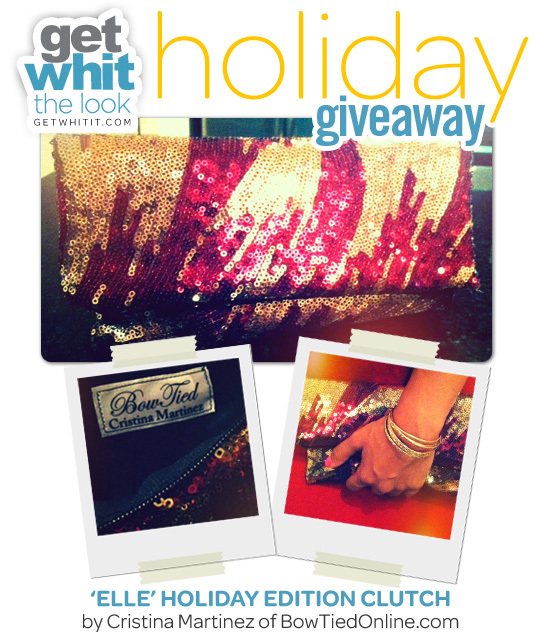 Cristina is an amazing designer, so whoever is the lucky winner will be sure to love this clutch. Enter below and we will select a winner tomorrow!